Let's give Indyk, and the talks, a chance. Richard Falk, writing for Al Jazeera—the Qatar-based, Qatar-funded mouthpiece for the ruling family of that kleptocracy—says that the naming of Martin Indyk as chief negotiator in the just-launched round of Israel-Palestine talks turns it into “yet another charade falsely advertised as ‘the peace process.’” Not true. 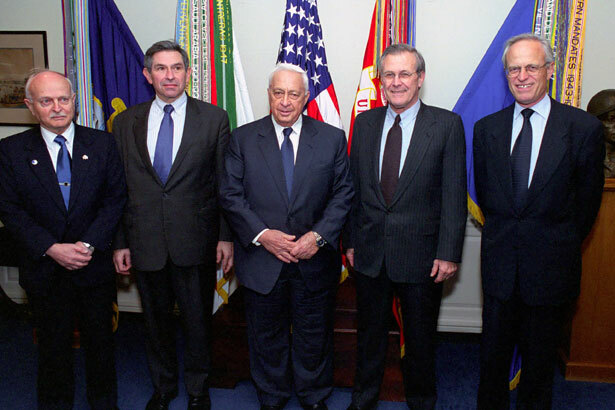 Admittedly, having published a book a few months ago with the title Brokers of Deceit: How the US Undermined Peace in the Middle East, the appointment of Khalidi, despite his stellar credentials, would have produced a firestorm in Washington. Agreed, Khalidi is beyond serious contemplation, but what about John Esposito, Chas Freeman, Ray Close? None of these alternatives, even Khalidi, is as close to the Palestinians as Indyk is to the Israelis, and yet such a selection would at least be a gesture toward closing the credibility gap. Yet it remains outside the boundaries of the Beltway’s political imagination, and is thus unthinkable. Which prompts the question: Why not Indyk? In this blog, twice already, I’ve expressed skepticism about Indyk’s value as a go-between, given his overt connections to Israel. But I’m willing to suspend disbelief, in part because, first, Indyk is hardly a Likudnik, and second, it’s Israel that the Palestinians are making a deal with. If there is to be a deal—and the talks are certainly not a “charade”—then it’ll be up to the United States to use its soft power, its Israeli connections, its military relationship with Israel and pretty much everything including the kitchen sink to push Prime Minister Netanyahu to an accord. It’s obvious, of course, that it’s an uphill battle. But why dismiss it at the start? Why not work, from the outside, to create an atmosphere in which all parties give up their maximum demands? Perhaps, there was no viable alternative. Israel would not come even to negotiate negotiations without being reassured in advance by an Indyk-like appointment. The single most astonishing example of Indyk’s opportunism is the settlement freeze that Obama demanded of Israel as a precondition for talks, today widely acknowledged—including by Obama and Indyk—as having been counterproductive. In a December 2010 op-ed, days after the administration formally abandoned its settlements-centric approach, Indyk offered the self-incriminating observation: “Twenty months of US efforts to freeze Israeli settlement activity to create a conducive environment for negotiations have produced only deadlock.” His new suggestion: “ ‘It’s the borders, stupid’ should be the mantra” for the administration. The “borders” he was talking about are in fact the 1949 armistice lines, also called the 1967 lines, to which many advocates for the Palestinians think Israel should withdraw. “Mr Obama should pronounce [the 1967 lines] as the American position,” Indyk recommended. Obama did just that. Six months later he delivered a speech that attempted to dislodge the peace process from the settlements deadlock by endorsing the 1967 lines as the starting point for future negotiations. Such a declaration, Indyk had predicted in his op-ed, would help “jump-start” and possibly even “turbo-charge” talks. As we know, Obama’s endorsement of yet another Palestinian position had the opposite effect: it angered the Israelis and ensured that Netanyahu’s visit to Washington—he was arriving the very next day—would play out as one of the most acrimonious moments in the history of U.S.-Israel relations. We do expect Ambassador Indyk will be on the ground there over the next couple of weeks. I think he’s going to be coming back and forth a fair amount. But he’ll be the main point on the ground for the United States. He’ll be leading that effort. The parties have agreed here today that all of the final status issues, all of the core issues, and all other issues are all on the table for negotiation. And they are on the table with one simple goal: a view to ending the conflict, ending the claims. Our objective will be to achieve a final status agreement over the course of the next nine months. The parties also agreed that the two sides will keep the content of the negotiations confidential. The only announcement you will hear about meetings is the one that I just made. And I will be the only one, by agreement, authorized to comment publicly on the talks, in consultation, obviously, with the parties. That means that no one should consider any reports, articles, or other—or even rumors—reliable, unless they come directly from me, and I guarantee you they won’t. I emphasize we have worked very closely with our Palestinian friends to help develop Palestinian security capacity. And we cannot forget that the security of Israel will also benefit Palestinians next door. The Israeli Government has recognized this, which is why it will be taking in the next days and weeks a number of steps in order to improve conditions in the West Bank and in Gaza. Is this the moment for talks on the Israel-Palestine conflict? Yes—as long as you’re willing to suspend disbelief.